Willow Grace: Made wontons for Jimmy's potluck at work today. 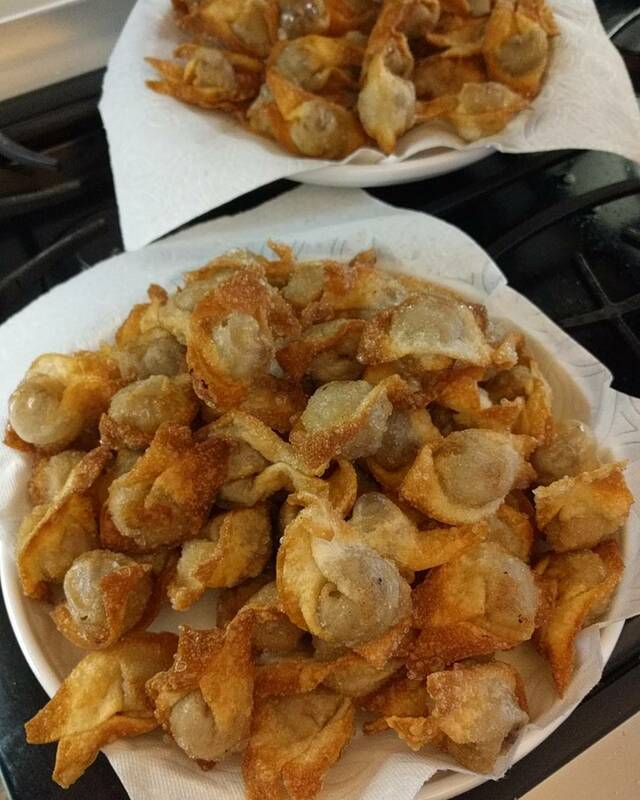 Made wontons for Jimmy's potluck at work today. They look pretty good, You're getting quite clever!! !